For a breathtaking bird’s eye view of Grand Cayman and the crystal clear waters of Seven Mile Beach, take a ride with the Parasailing Professionals. Description A safe but exhilarating ride suitable for the whole family, you will “fly” hundreds of feet in the air above the sea. 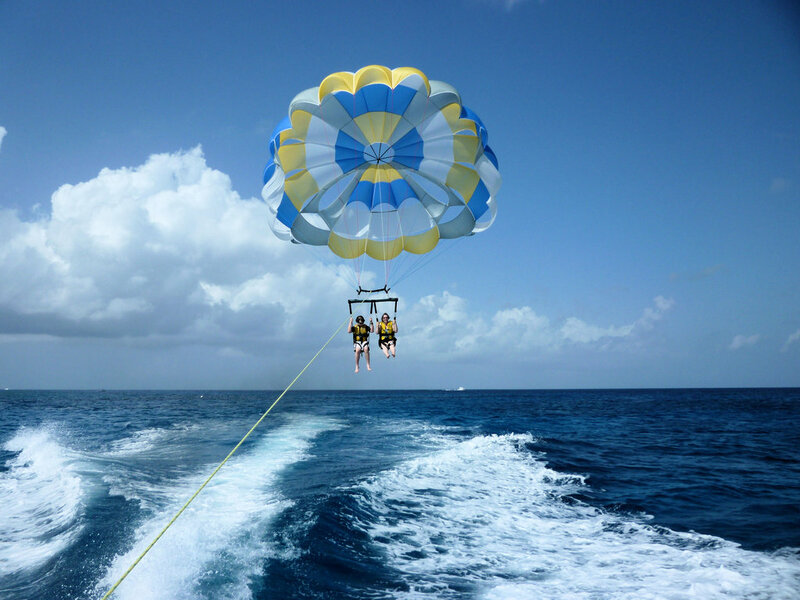 We offer Single, Double and Triple parasail rides which start off and land on the boat – it’s a smooth ride and no skill or experience is required. 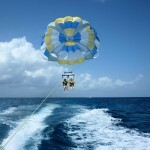 We pick up and drop off by shuttle boat (Parasail Bus) at most locations along Seven Mile Beach.